Gionee M7 Power is a variant of the upper mid-range M7 smartphone that promises longer battery life. It comes with a bigger juicer than the regular variant while sharing most of the specs and features. There is not much difference between the Gionee M7 Power and M7 in terms of design. They are similar in size. This parades a metal body that comes in a variety of colours, including gold, black and blue. It is not an ultra-slim device at 8.6 mm. You will find a huge 6-inch IPS LCD display on the front. Like the regular variant, this has an aspect ratio of 18:9, but screen resolution is different. 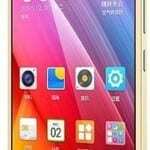 The Gionee M7 Power has an HD+ resolution of 720 x 1,440 pixels for roughly 268ppi pixel density. It appears you won’t be getting the dual rear cameras of the Gionee M7 on this one. Spec sheet shows that the Gionee M7 Power packs a 13MP sensor with autofocus and LED flash on the rear. It captures Full HD (1080p) videos at 30 frames per second. Beside the speaker opening at the top of screen is an 8MP selfie shooter. You get the same generous onboard storage of 64 GB for keeping your photos and other things. There is also dedicated slot for extending this by another 256 GB with a microSD card. The Gionee M7 Power uses a different processor to the one on the regular model. It comes with an octa-core Qualcomm Snapdragon 435 chipset running along at 1.4 GHz. RAM capacity is lower at 4 GB, but still good enough for superb performance. An Adreno 505 GPU takes charge of graphics crunching. Out of the box, the Gionee M7 Power runs Android 7.1 Nougat OS with Amigo 5.0 skin. 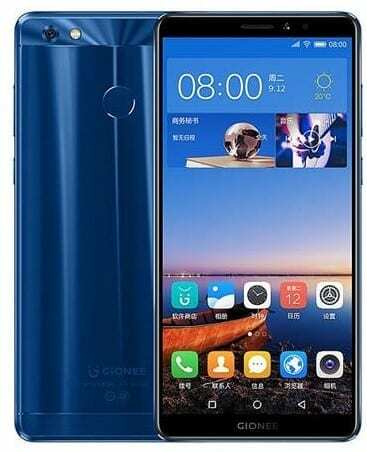 It is unarguable that a major selling point of the Gionee M7 Power is its colossal 5,000mAh Li-Po battery. This supports fast charging to reduce the amount of time it spends while in the socket. There is a fingerprint scanner at the centre on the rear, near the top, for additional security. Gionee M7 Power supports fast 4G LTE connectivity via its dual SIM slots. You also get USB OTG. Gionee M7 Power is not yet available in Nigeria and Kenya. Gionee M7 Power Price in Nigeria is expected to range from 150,500 Naira to 230,000 Naira, depending on your location in the country. Price in Kenya is expected at around 49,500 KSh.